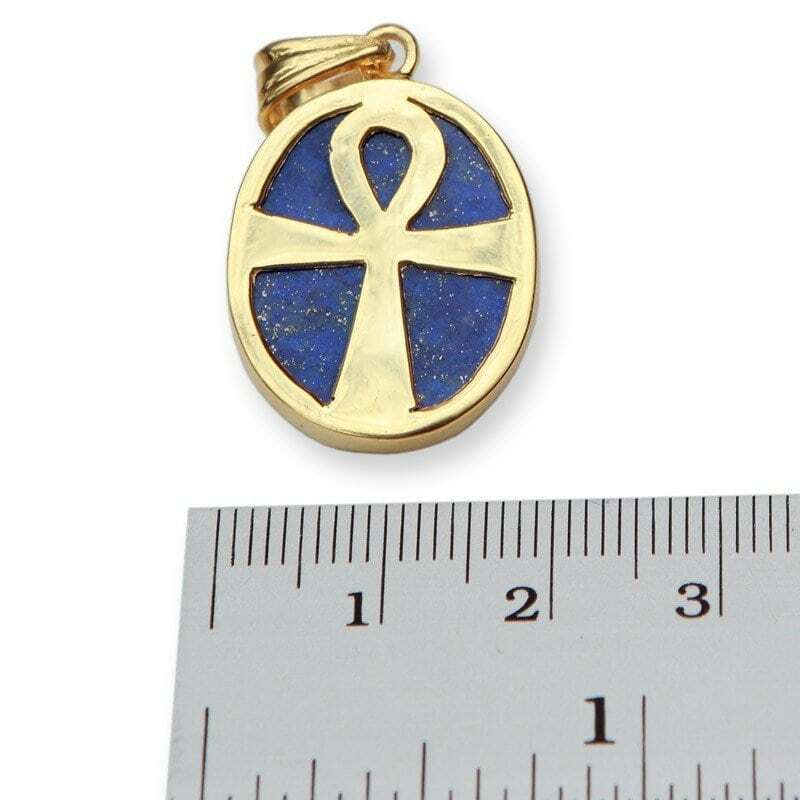 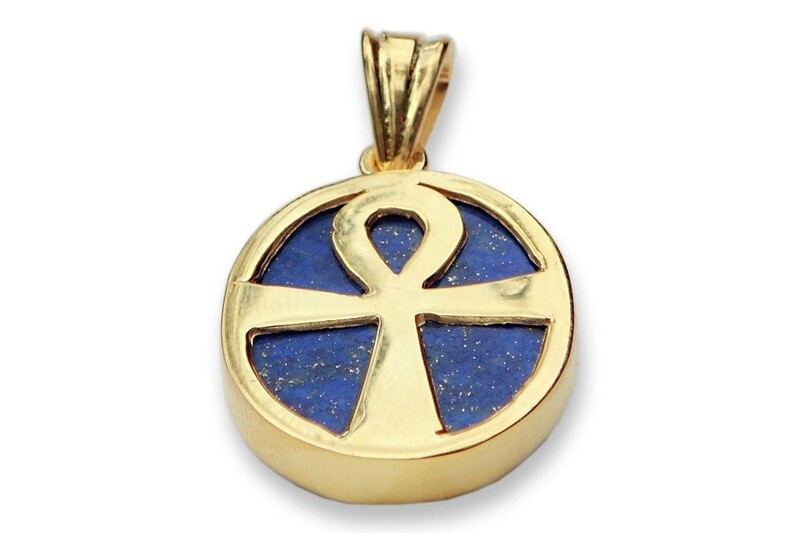 A gold plated (5 Microns 18K Gold) sterling silver Ankh design cross has been mounted to a beautiful oval of genuine lapis lazuli to make an impressive pendant. 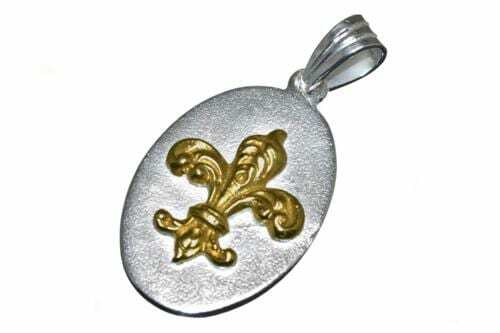 The oval is held in an closed-backed encasement. 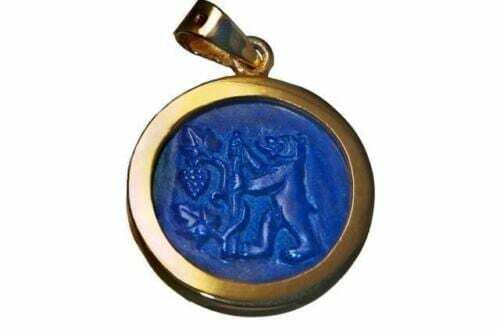 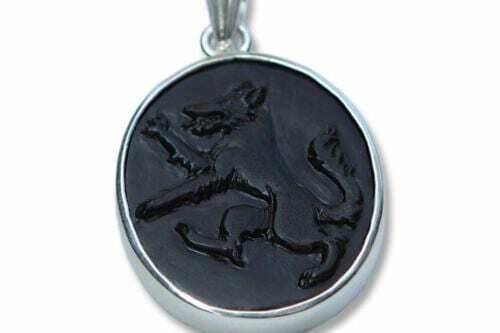 This gives the opportunity for the ladies to share in our interest in heraldic jewellery and would make an excellent gift. 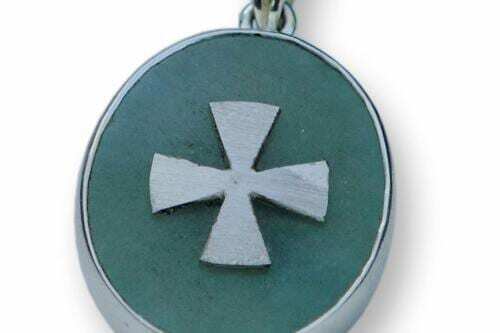 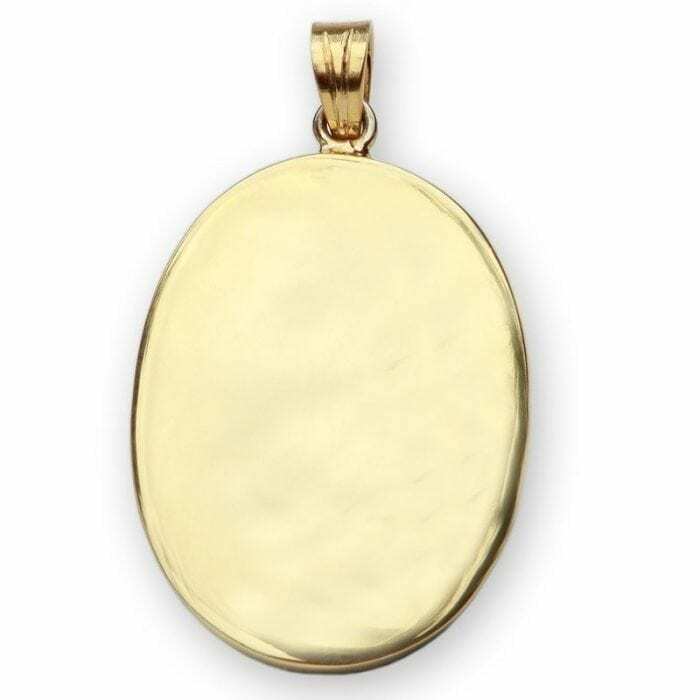 The oval pendant measures 22 x 18 mm ( 7/8 x 11/16 ).